A homeowner spends an average of 4 hours per week taking care of their lawn. And if they don’t have the time to do this on their own, they call in expert lawn care services. 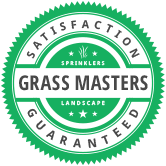 According to surveys, around 22 million homeowners hire these professionals to help them with their lawn care needs. Cutting should follow the rule of one-third, because cutting it too short may stress out the grass and may invite pests like chinch bugs. Lawn should only be watered once (or twice at the most) a week. Approximately 3% of plant species are classified as weeds. Pulling out the weeds is not a guaranteed way of killing them. The best time to apply fertilizer is in late spring or early fall.